Axis Of Oversteer: Keith Haring's Formula 1 head. Keith Haring's Formula 1 head. I heard from our Axis friend Chris Hull recently. 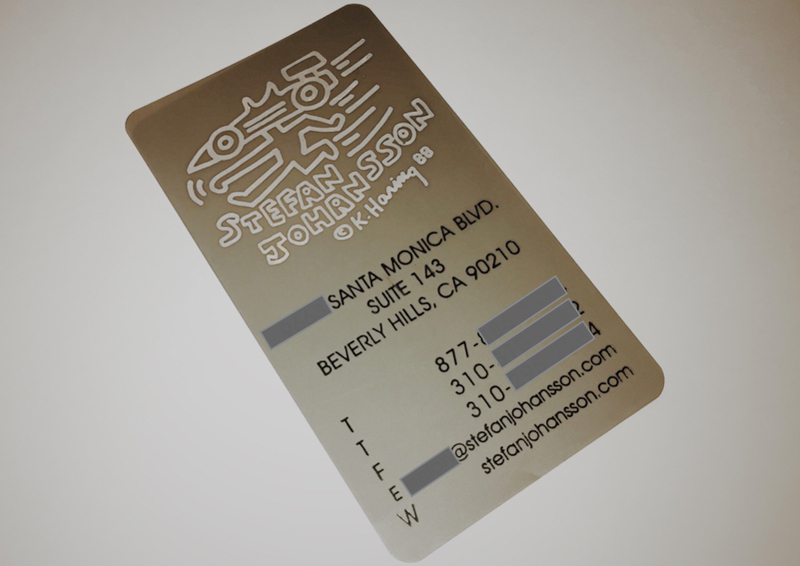 Chris had found an interesting business card at the bottom of a drawer in the Alpinestars office and was intrigued. 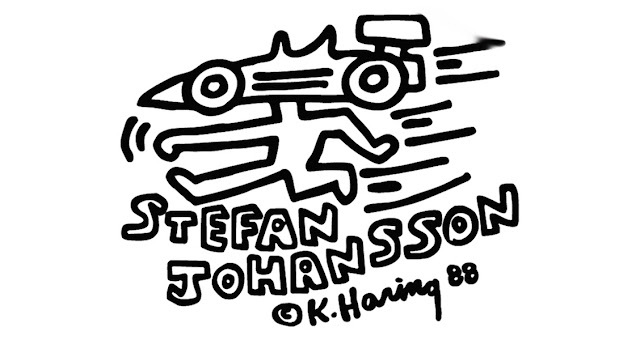 The card was designed by Keith Haring for Stefan Johansson's and Hull's article on how the 80's journeyman racer connected with the 80's art icon is well worth your read over on the Circuit of the Americas blog. 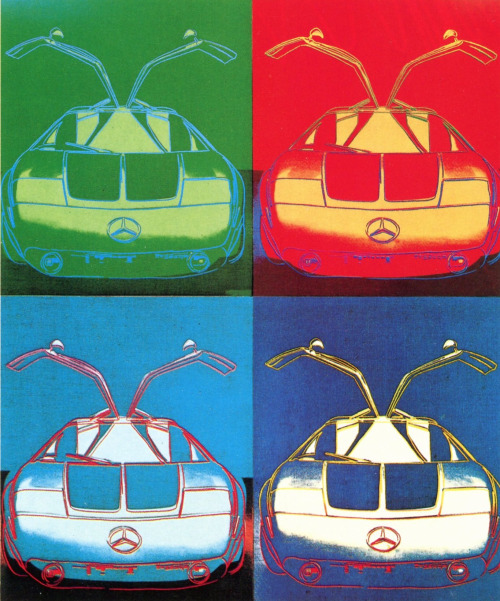 Art and Formula One will be in contact in Austin for Grand Prix week end. 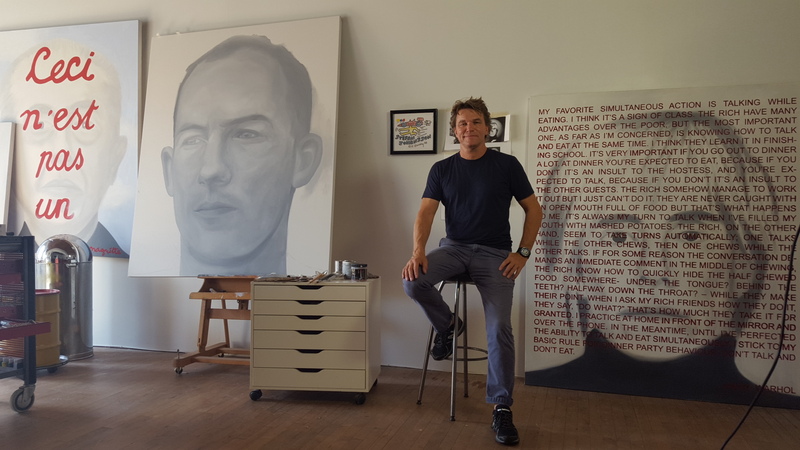 Pop Austin International Art Show will feature a popup exhibit at the track with works by Basquiat, Warhol and more. The exhibit will be free to everyone attending the race.